How do I unsubscribe from the Barocook newsletter? Do I need to worry about matches or windy conditions when cooking? Can I use dehydrated foods with the Barocook? Can I use snow to activate the heat packs? How do I dispose of the used heat packs? What are the heat packs composed of? 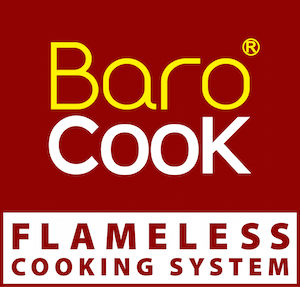 What other benefits does Barocook Cookware provide? For how long will the heat pack cook my food? Who is Barocook meant for? Can I drink the water that activated the heat packs? We love to hear from you, with any questions, comments or suggestions. Please don't hesitate. You can reach us via email or phone. We typically respond in under 48 hours.